Quite often the gifts that God gives believers take on an added potency when simmered in the sauce of experience. Such is the case with Building 429, the talented pop/rock outfit that topped the charts in 2004 with “Glory Defined” and proceeded to build one of the Christian music community’s most impactful ministries. Blessed with one of the most distinctive voices in any genre of music, Jason overcame a turbulent childhood and found solace in the church and in music. 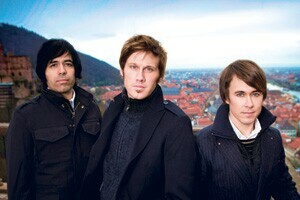 He launched Building 429 determined to make a difference in the lives of others needing to hear the truth of the gospel. The band broke through with the powerful hit “Glory Defined,” which was named BMI’s Christian Song of the Year in 2005. That same year Building 429 was named New Artist of the Year at the Gospel Music Association’s Dove Awards and the band was also nominated in the Rock/Contemporary Album of the Year and Song of the Year categories. In the past few years, Jason, Michael, guitarist Jesse Garcia and bassist Aaron Branch have toured heavily. They’ve hit the road with Casting Crowns, tobyMac and other acts as well as headlining several treks, including Food for the Hungry's SummerFest 2009 and 2010 and Food for the Hungry WinterBlast 2010 and 2011. But even as they were touring the country and pouring into the lives of others, Jason and his wife Cortni found themselves becoming increasingly involved in their home church in Clarksville, TN.
" We just have to focus on this moment. It’s time for us to value every second that we have and use it all for the glory of God." “Listen to the Sound” is instantly memorable. “It was different than anything we had before on any other record,” notes Michael. “From my perspective the whole groove of it is totally different than anything we’ve done. When Jason first played me that one, it was probably the one that most surprised me. A Very Special Christmas, Live From Washington, D.C. 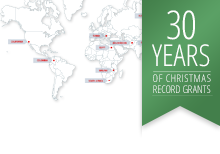 Thanks to the generosity of talented friends in the recording industry, the grants generated by the A Very Special Christmas albums have had an enormous impact on Special Olympics Programs around the world.